Betron NR200 Wireless Bluetooth Speaker Built in Microphone. 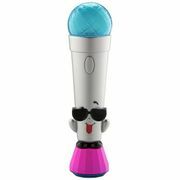 Bluetooth Karaoke Microphone for Kids - HALF PRICE! Echo Microphone - HALF PRICE! Wireless Car KTV Microphone, Portable Handheld - HALF PRICE! Find all the best affordable quality microphone on sale! The world would possible be a different place without the existence of microphones. Microphones have been widely used in various applications like two-way radios, sound recording, television and radio broadcasting, telephones, hearing aids, and more. Looking for cheap quality microphones is made easy by Latest Deals. Whether you’re looking a microphone for PC to chat with your loved ones, a condenser microphone and recording microphone to use for your studio or a cheap USB microphone and wireless microphone for convenience and portability, we’ve got you covered. Our massive community of bargain hunters regularly share cheap microphone deals, price drops, and special offers from major UK retailers. We also have a team of money-saving experts who always share essential shopping tips and tricks that can help you save on your instore and online purchases. Most UK retailers have sale events, seasonal clearances, and flash sales on wide selection of microphones where you can save us much as 60% off on brands like Blue, Rode, Neuman, and Audio-Technica. You can also expect massive price reductions during Black Friday, Cyber Monday, and Boxing Day. However, if you want to maximise your savings even more and get additional money off, make sure to use the latest microphone discount codes you can find here. There are even voucher codes where you can get freebies and free shipping. The deals and offers we have here are available for a limited time only, so make sure to take advantage of them right away before they expire. Do not forget to bookmark this page and never miss out on fantastic discounts, amazing savings, and everyday low prices from your favourite online shops! When it comes to various products available in the market, there are really popular brand names that rise up among the rest. In the world of microphones and sounds, here are the brands that are considered as experts. Sennheiser. This legendary company manufactures not just microphones, but also related products like headphones, headsets, amplifiers, and accessories. The production of other items did not shake the company’s expertise in microphones. In fact, they even have more than 100 different microphones in their catalog. AKG. This company is very passionate when it comes to music. They focus on producing only high quality and innovative equipment. The company also specialises in audio-technical areas – no wonder why famous bands and professional musicians prefer to use ALG microphones on various live events over any other brands. Shure. Shure is spot-on dedicated to providing the market with high-quality audio electronics and microphone. They have been in the industry for over 90 years, and they continue with their success with the same commitment to quality. Most audio enthusiasts surely own a Shure microphone. Rode. This Australian brand specialises in microphones of exceptional quality. 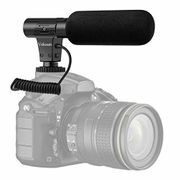 They offer almost all types of microphones that are commonly used in today’s generation such as microphones for studio, home, and concert, microphones for broadcasting, recording microphones, microphones for smartphones, and even microphone accessories. Multimedia microphones or also known as microphones for personal computer use are quite popular purchases. In this era of technology, it’s hard to find a household that does not own at least one laptop or desktop. Fifine Plug & Play Home Studio Cardioid USB. This PC microphone is easy to set up and use. All you need to do is to plug it into the USB port, go to the software settings of your PC, and set it as your input. This microphone is compatible to Mac and Windows. Also, there’s no need to install any software to continue using it. 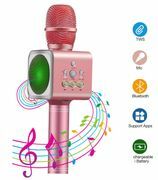 This microphone features superb noise cancellation, making it a perfect tool for home studio recording and other online chatting purposes. KLIM Voice USB PC Microphone. This microphone has a patented audio filter that can greatly help achieve clear and crisp audio recording. There is no need to install any software. Simply plug this into a USB port and you’re all set to use it. A perfect companion for gaming and home recording. The KLIM Voice USB PC Microphone is compatible to any PC brands and to all OS. TKGOU USB Microphone, Computer USB. This affordable microphone features high definition audio perfect for daily home use. It has an outstanding noise cancellation feature that will give you a clear and crisp voice output. It also features anti-pop filter. Trust 20378 Micro USB Microphone with Stand for PC and Laptop. If you are not a fan of distortion and low-quality audio, then you should consider Trust 20378 Micro USB Microphone. It works well with any laptop or PC make and model. Most importantly, it cancels out noise for a clearer audio output. This comes with a free USB adapter. TONOR Desktop USB Microphone for PC. Are you after superior audio quality? If so, you can never go wrong with Tonor Desktop USB Microphone. 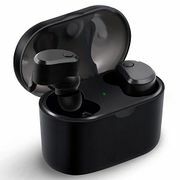 It’s specifically made to provide crisp and clear voice output, canceling all of the unnecessary background noise. This microphone unit features a 360-degree rotating neck that allows you to position it the way you want to. This is perfect for various multimedia application, video conferencing, and even live streaming.